Ask my art teachers, I have never been able to draw anything. 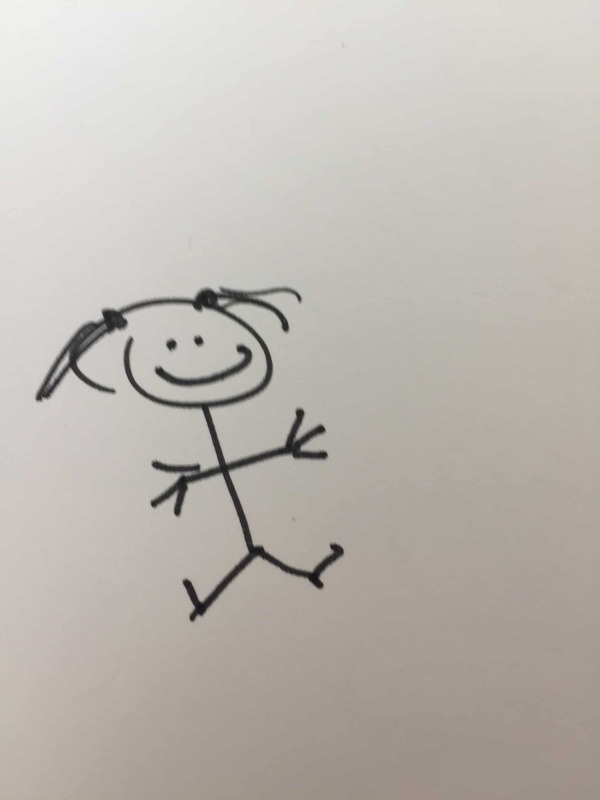 Even my stick figures are devoid of talent. I like to doodle in my notes when the presentations are boring, but even my doodles are embarrassingly primitive so I won’t indulge in a quick sketch as I am afraid someone might steal a peek at my inepted attempt to draw something like this. And then my friend Alli wrote a book. Alli is super talented. Way back when, she helped me with my logo for MommyUpgrade, so basically, I was one of the first members of her fan club. 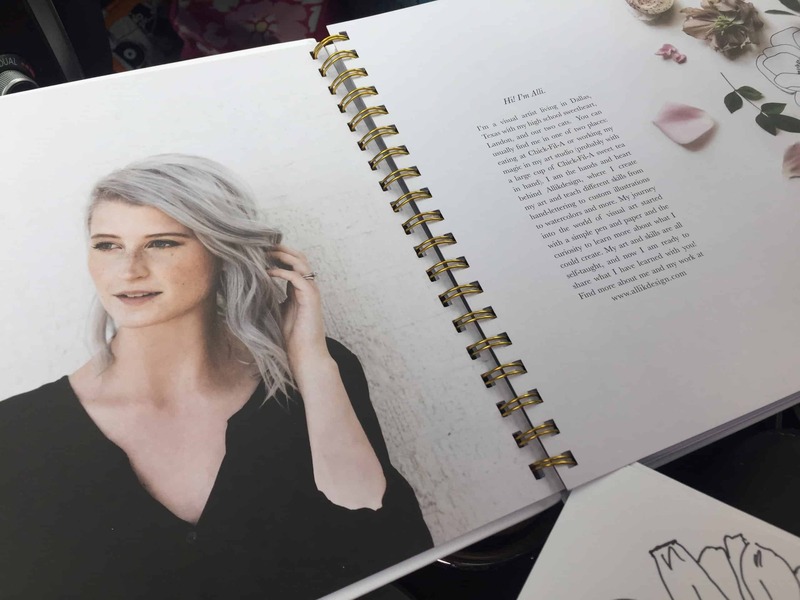 And then Alli started a business doing custom lettering, and then she started teaching people how to do custom lettering, and then she started drawing and fell in love with cacti, and now she wrote a book. 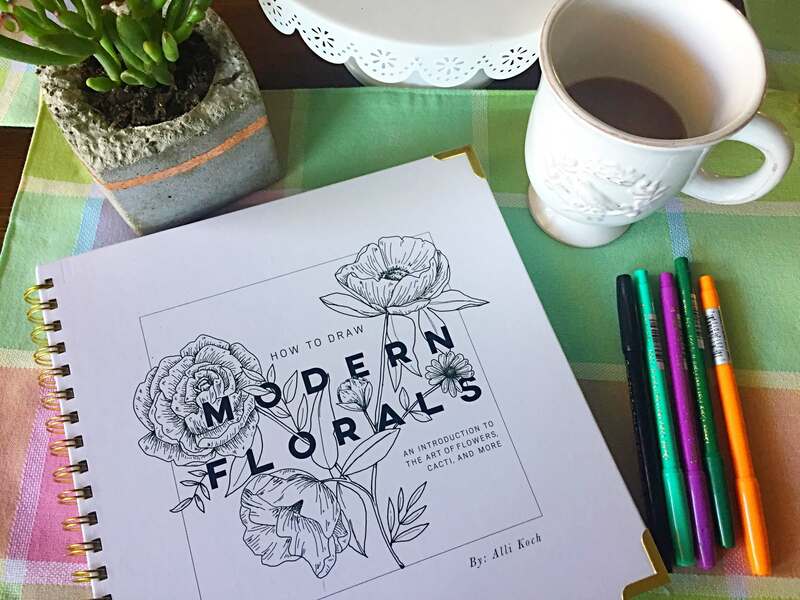 A book called, “How To Draw Modern Florals: An Introduction To The Art of Flowers, Cacti, and More “>How to Draw Modern Florals.” And she sent it to me. And it’s a beautiful book and I wished (again) that I could draw because now I had a problem. I wanted to tell y’all about this gorgeous book and that it could teach you to draw but I realized I needed to be the proof. If Alli could teach me how to draw with this book, then it’s the real deal. 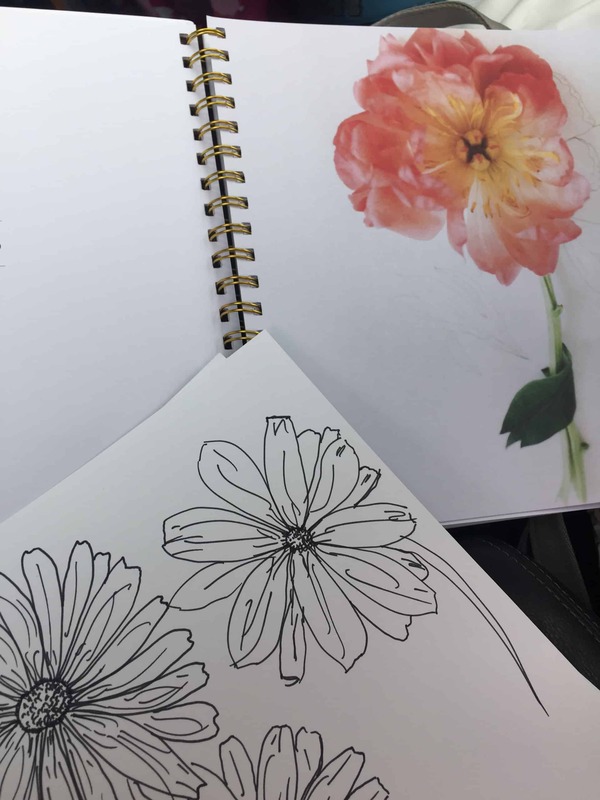 So I have been sitting in my SUV outside ballet class so no one could see my sad attempts to draw daisies and tulips and guess what?! Alli taught me how to draw, in a short few minutes, while I’m sitting in my car, looking at a couple pages in a book. Not bad for a first attempt right?! 1) It’s beautiful. From the gold metal tipped edges to the stunning photos inside, this is a book you can just look at. Or leave out on a table. 2) Alli breaks it down into easy steps using just two basic techniques repeated over and over. The “C” and the “S.” I have both in my name so I’m thinking I’m a natural. 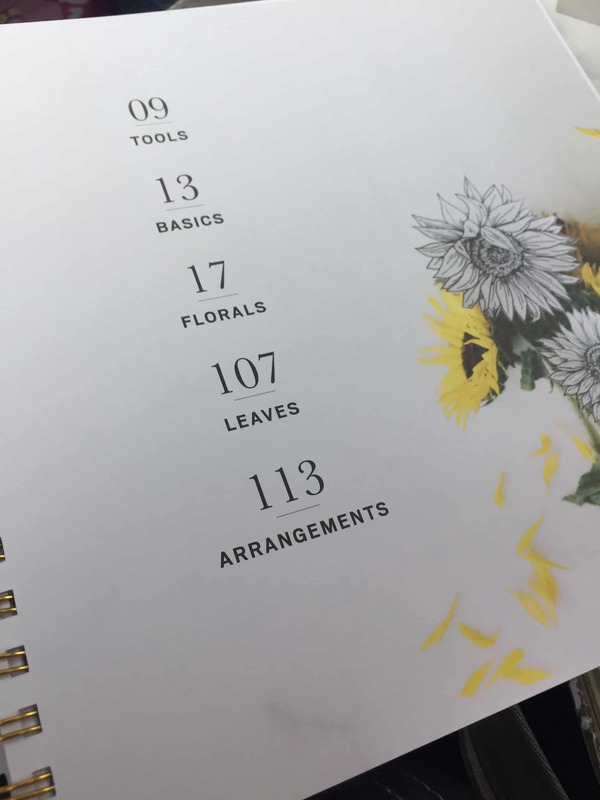 3) There are practice pages in the book! I -of course- didn’t want to ruin the book by making a mess with my feable attempts at drawing, but I totally should have. It would be fun to go back and see where I started after I have my first gallery show. Totally kidding. 4) It’s spiral bound and hardcover so it lays flat. This is perfect for when you are drawing on the go. 5) It’s for kids and adults. 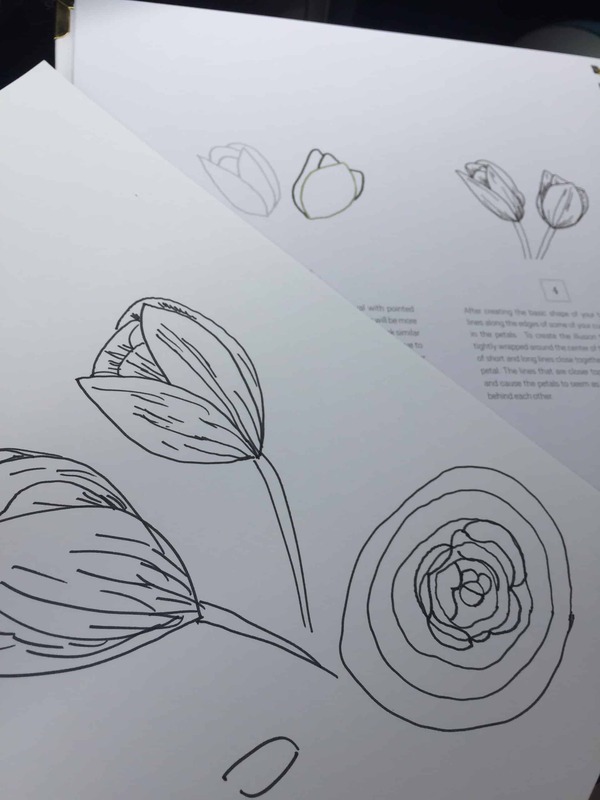 I think the 9 year old cupcake could use this book to draw flowers too! I’m completely addicted. Drawing florals may just be my new stress reliever. Thank you Alli! You can preorder Alli’s book which will be available on April 15th.